EduLink One is a new mobile app which is helping our schools tackle these issues head on. 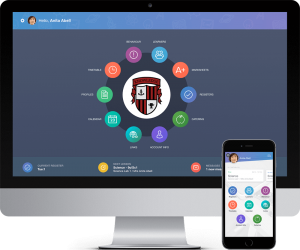 It gives teachers, students and parents a single interface to share reports, documents and information on a range of devices. Involves parents by giving access their child’s grades, attendance and behavioural data, as well as instant messaging to keep them up to date with the latest news. Empowers teachers to work flexibly, enabling on-the-go access to real time MIS data and allowing marking, assessment and registration to be completed from a mobile device. Supports administrators with instant messages delivered directly to the user’s smartphone, and integration with cashless payment systems. To find out more about how schools like Jerudong International are using EduLink One to get parents, teachers and students working together for the good of the school, or to secure your school’s place on the free trial please register here. We’re really excited about the work we’ve done so far with EduLink One, and keen to get feedback from the next group of schools to get involved.